Greenmap Belarus wins a UN competition. 3rd Urban Picnic in Mahilioŭ gathers over 6,000 citizens. A new initiative makes Minsk as green as possible. EESC organises 10th annual United Students of Belarus Rally. BEROC opens enrolment to the 7th Student School in Economics. KGB drops criminal charges in the preparation for mass riots case against Young Front activists. UN Special Rapporteur presents a new report on Belarus. The Samahod visa-free summer festival takes place in Minsk on 24-25 June. LGBTQ community centre is established in Minsk. 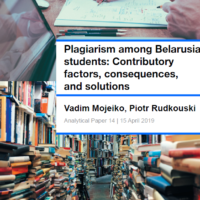 This and more in the new edition of the Belarus civil society digest. Greenmap Belarus won the UN competition. 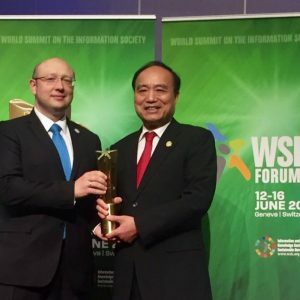 The joint project of the environmental CSOs and the Ministry of Natural Resources took the first place in the competition for the UN Awards in the field of building the Information Society WSIS Prize 2017. The Greenmap Belarus project, an interactive map of environmentally friendly places and initiatives, was developed by the Environmental Solutions Centre. Demolishing of Asmaloŭka brought for public discussion. The administration of the Central district of Minsk announced the public discussion of the Asmaloŭka area where two neighbourhoods with two-story buildings plan to be completely demolished. Civic activists have been fighting for the preservation of the area for several years; they consider it an important cultural, historical and ecological object of Minsk. Make Minsk green again. A new initiative is attempting to make the central part of Minsk as green as possible and create a related public request on that. Instead young seedlings, the initiative suggests planting adult trees that are more adapted to urban conditions. The first goal of the campaign is to plant trees near the Minsk railway station. Impact assessment of the Leadership program. Office for European Expertise and Communications (OEEC) has released a report on the social effects that the educational programme Leadership in Local Communities implemented by OEEC and Pact has produced on the ground. According to the report, 49 trained community leaders managed to mobilise 4,600 locals in solving over 90 local issues. 3rd Big Urban Picnic in Mahilioŭ. On 27 May, the Centre for City Initiatives gathered more than 6,000 people on the banks of the Dniepr. The Picnic included a rich programme of contests, master classes, and presentations, accessible to all citizens of Mahilioŭ. The festival has become the third in a row, which is held by the forces of city CSOs. City show new episodes present a new challenge for the participants to organise a budget-zero public event in the style of Vulica Brasil to master their organisational and creative skills. The activists also tell to the jury about their community projects that will be implemented on the ground. The winner of the show will go on a study tour to Brazil. 10th annual United Students of Belarus Rally. Eastern Europe Studies Centre (EESC) invites Belarusian youth studying in Belarus and abroad to apply for the rally, which will be held on 3-5 July in Vilnius, Lithuania. This year the USB Rally will be devoted to fostering connections between Belarus and Belarusian Diaspora around the world. RADA invites Belarusian youth NGOs to take part in a Volunteer Festival on 11 August. The goal is the creation of a positive image of volunteering among young people, increasing the information content and visibility of youth CSOs, initiatives, and cultural and educational areas among young people. BEROC announces the enrolment to the 7th Student School in Economics. The School will be held in Minsk in September-October 2017. Working language of the school is English. The curriculum includes intensive lectures and group discussions. Specialisation in economics is not a must for the prospective candidates. The application form should be submitted before 14 July. Educational programme on women’s social entrepreneurship. The first in Belarus, a 15-month programme to train women from Minsk and Brest who want to create social-oriented enterprises, or have already started their own businesses. The programme is implemented by a consortium of CSOs, including ODB Brussels, Brest Fund for Regional Development etc. The UN Special Rapporteur urges continued scrutiny as Belarus enters new cycle of repression. On 14 June, presenting his new report to the Human Rights Council, Miklós Haraszti described the severe crackdown on peaceful protesters in February-March of 2017 as revealing the nature of oppression of human rights in Belarus. In response, official Minsk urged the HRC to abolish the mandate on the Special Rapporteur in Belarus. KGB terminated the criminal proceedings on ‘preparation for mass riots’. The Belarusian KGB has stopped criminal cases for ‘the preparation for mass riots’ (article 293-3 of the Criminal Code) started against six members of the Young Front. At the same, 14 people detained in March in connection with ‘the patriots’ case’ are still in jail. They are suspected of ‘creating an illegal armed unit’ (article 287 of the Criminal Code). Analytical review of detention conditions and treatment of persons convicted of involvement in peaceful protests in March 2017. Human Right Centre Viasna‘s review concludes that the peaceful demonstrators sentenced to administrative detention in Minsk were held in conditions that are contrary to the state’s obligations enshrined in the Constitution and international treaties. Samahod, the annual visa free summer festival will take place in Minsk on 24-25 June and attract nearly 1,500 participants. Samahod /Self-Propelled supports the abolition of visa usage between the EU and Belarus. The festival will include lectures, performances, roundtable discussions, film screenings, children’s zones, and many more activities. LGBTQ Community Support Centre was established in Minsk. The Centre supports LGBTQ people and their relatives and provides legal and psychological assistance and cultural and educational activities. The centre seeks to overcome discrimination and promote the idea of equality, regardless of gender identity or sexual orientation.